How Do You Know If Your Heat Exchanger is Cracked? | Robert B. Payne, Inc. Heating Furnace Review – How Do You Know If Your Heat Exchanger is Cracked? If you don’t believe the rumors that say a cracked heat exchanger in a gas furnace can pose serious threats to your family safety, you might want to think again. Even if the damage doesn’t look severe, a cracked heat exchanger can cause dangerous gases to leak into your house and make your loved ones sick. Do your family a favor and check regularly to make sure that your heat exchanger is in good condition. Not sure how to do that? Here are a few things to watch for. If you see black smears on the inside of your furnace, it might be because the furnace isn’t burning properly. Soot is usually evidence of a black carbon buildup, which can be caused by a cracked heat exchanger. Odd scents in your home, especially unpleasant odors, can be a sign that something has gone wrong with your heat exchanger. As soon as you notice the smell or start to experience headaches and other physical symptoms, contact an experienced technician to evaluate the situation. Don’t wait until the health of you or your family members is in jeopardy. Water residing on the floor near the base of your furnace is usually indicative of a cracked heat exchanger. Although there could be other causes, it’s safe to call it a technician who can determine exactly what’s causing the leak. If your heat exchanger has been leaking gases into your home for a while, members of the household might complain of nausea, headaches, confusion, and other symptoms. As soon as any unexplained ailments start to pop up, check on your furnace to make sure that everything is working properly. To be extra safe, have your furnace inspected by a professional immediately before any gas-induced illnesses can worsen. Worried that your heat exchanger might be cracked? 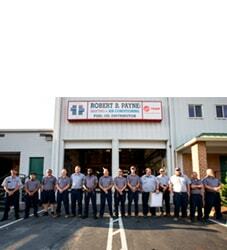 Talk to a professional like Robert B. Payne Inc. to have a thorough inspection of your furnace conducted. 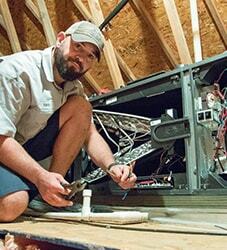 The company can give you reliable advice, help protect your family, and fix any problems your furnace might have. 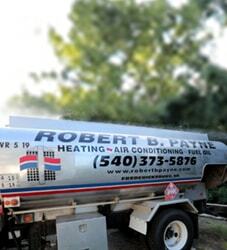 Call (540) 373-5876 or visit www.robertbpayne.com today to learn more or schedule an appointment.